On Saturday two DA robotics teams travelled to Hopkins Academy in Hadley Massachusetts to compete in a state qualifying tournament. 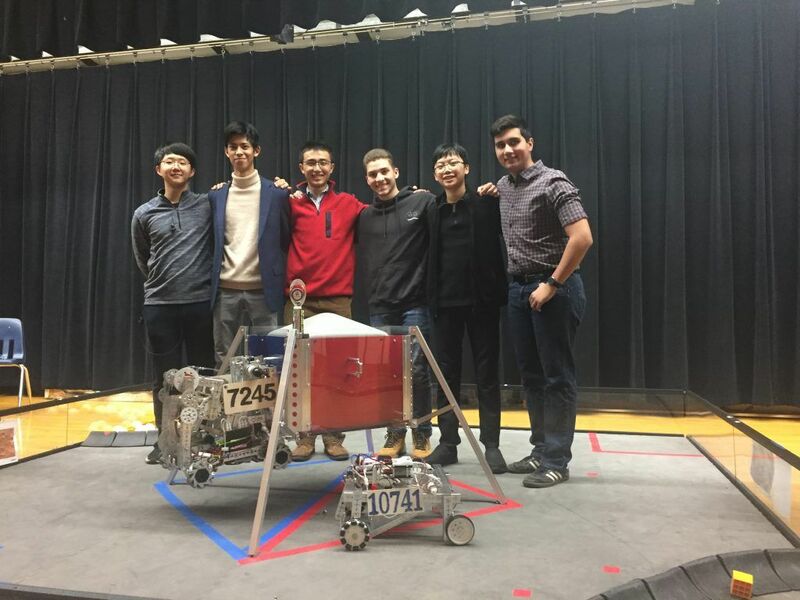 The underclass team, Boyden’s Bots, represented by William Abou-Rjaili, Rosnel Leyva-Cortes, and Jerry Zhou shocked everyone by finishing their five matches of round robin play in sixth place overall out of 24 teams. The upperclass team, Big Green, represented by Neil Nie, Elven Shum, and Will Song finished their five matches of round robin play with the second highest score, 725 points, just seven points behind the high scoring team. In the elimination round Boyden’s Bots was chosen to be on the four ranked alliance. They lost in the semifinal match. 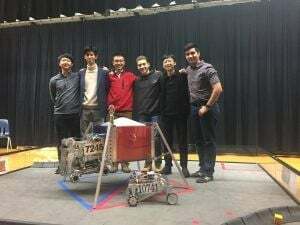 Massachusetts robotics is one of the most competitive regions in the world, so they were pleased with how far they advanced with their first ever robot. Big Green won, as an underdog, the best of three semifinal matches and advanced to the championship match. The Big Green robot was reliable and completed its task efficiently. In each match they relentlessly piled up points. The championship was no different, but in the end their alliance of teams narrowly lost to a set of impressive robots. As a result of their accomplishments in these past two competitions the Big Green team has advanced to the FTC State Championship in Natick in March. Congratulations to both teams on a very successful season!